A high-action sci-fi about a young man battling to make it to the top in the world of zero gravity prizefighting, amid brewing interplanetary conflict, pitched as Rocky meets Gattaca. 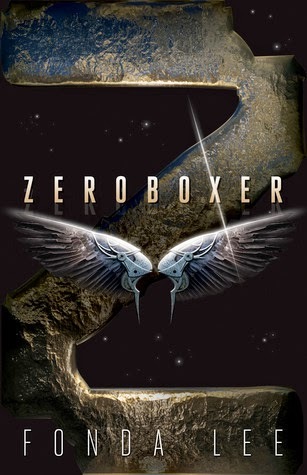 Eighteen-year-old Carr “the Raptor” Luka is an athletic phenom, a rising star in the weightless combat sport of zeroboxing. Training and competing aboard the lunar orbiting city-station of Valtego (where It’s More Fun on the Dark Side TM), all he’s ever wanted is to win the championship title. His talent and marketability don’t go unnoticed by the top brass of the Zero Gravity Fighting Association. They assign him a brandhelm; after all, anyone who wants to be anyone needs a dedicated personal marketing strategist. Beautiful and ambitious, Risha is one of the genetically engineered Martian colonists that Earth dwellers view with resentment and suspicion. It isn’t long before she’s made Carr into a popular celebrity, and stolen his heart along the way. But success could be the worst thing that happens to them. As his fame grows, Carr must come to terms with the fact that he’s become an inspirational hero on Earth, a once-great planet now angry at falling into the shadow of its more prosperous colonies. When Carr learns of a far-reaching criminal scheme, he becomes the keeper of a devastating personal secret. Not only will his choices place into jeopardy everything he holds dear, they may spill the violence from the sports arena out into the solar system. Well this sounds promising, doesn't it? I just happened across it on Goodreads and the cover took my eye (kind of a mix of World War Z and Susan Ee's Angelfall...) and when I read the premise I knew this would be one to add to the To Read list! It's just a shame that it's not out for another eight months, I'm so impatient! !